It has often been said that "God has a sense of humor." He must have to have created...us. This reviewer has often chuckled over a curiosity in The Bible, such as the time God struck an entire city of men down with...hemorrhoids. (1 Samuel 5:9) which may have been the origins of the description, "Pain in the'...well..."exterior." But it was never been totally realized that God DID and does have a sense of humor. That is, until now. 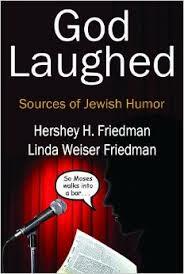 The new Transaction Publishers book, "God Laughed" by Hershey H. Friedman and Linda Weiser Friedman, shows how Jewish humor came right out of the ancient texts of The Holy Scriptures. The humor of God can be found there but most effectively when read in the original Hebrew. This is why when a Jewish comic is performing for Jewish audiences, he will often do the punch line in Hebrew which brings roars of laughter. This writer has always enjoyed Jewish humor, having been a friend of the late comedian, Joey Adams, who wrote a book on that topic and gave me an autographed copy which is treasured in my library. The funniest comedians are Jewish. There is something in the way they write the joke and deliver the joke that often brings guffaws. A lot of that humor comes from pain and suffering, re-channeled to take control of a life that can be difficult for a Jew. And, it is said, there is a very fine line between drama and humor. Often the joke may be about outwitting an oppressor or, even, outwitting each other. I challenge the reader not to laugh as these examples are given. And we warn you...there is a laugh on every page. So older readers should wear their Depends. It makes one almost want to be Jewish for the jokes. The Jews learned early on that humor can be used to deride other groups and can also be used to enhance the image of a group. A lot of the humor is self- deprecating and impudent. An interesting type of humor is based upon Superiority Theory The purpose of it is to demonstrate one's superiority, dominance and power. Humorous mocking, along with belittling other groups would be a way of demonstrating the "superiority" of one's own reference group and thus boosting one's ego. Even the philosophers, such as Thomas Hobbes, Aristotle, Plato, and Cicero got in on this Superiority Theory, believing that humor should be seen as a type of game in which there is a winner and loser. The winners are the parties doing the laughing and the losers are the ones being laughed about or at. 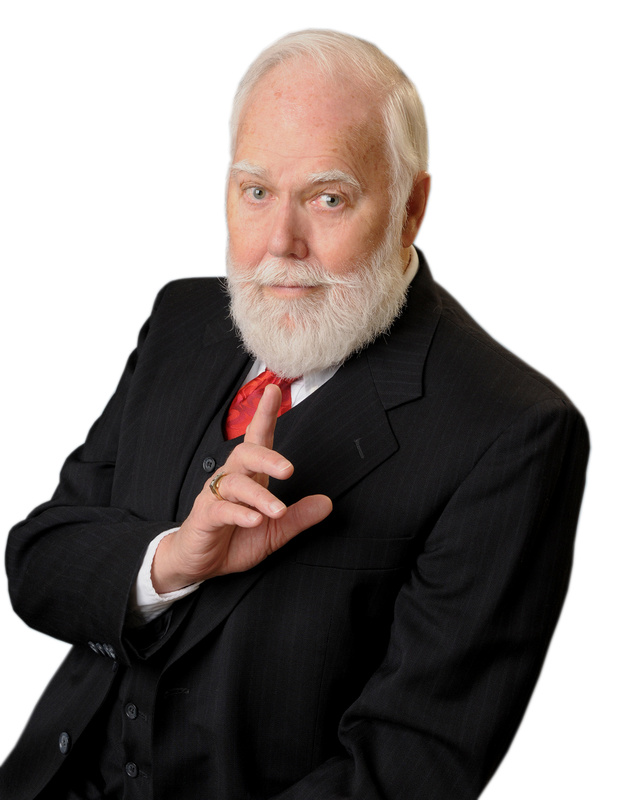 The Relief/Release Theory of humor focuses on the fact that laughter is a socially acceptable way to release pent-up tension and nervous energy, and to relieve stress – an idea first developed by Herbert Spencer and made famous by Sigmund Freud. The most interesting looking people one can meet are those who have been through great difficulties, some coming from oppressive governments that mistreated them, and Freedom Fighters who basically went to war to fight for an end to totalitarian rule. As Vincent van Gogh said to his mother about painting peasants and brutally hard working coal miners, "there is something interesting carved in their faces." Since this material comes not just from the Old Testament but also the Tanach, Talmud, Torah and Midrash, there will be clashes between Jewish and Christian theology, such as the description of Satan as not a fallen angel, not an evil force equal and opposite to God; in fact he is merely another angel obedient and subservient to God. One anecdote on page 116 is classic: A few weeks before his death, noted philosopher Sidney Morgenbesser asked a fellow philosopher about God: "Why is God making me suffer so much just because I don't believe in him?" What's that? Is that...laughter coming from....above? Twenty years of research went into this book. It is a fun and interesting read. Jewish history buffs and biblical scholars will greatly benefit from this volume along with those who simply enjoy a fun read. Now we know that jesters do go to Heaven when they die. That's how important humor is to God. Robin Williams, RIP.